With a population of 87,882 and situated in the Blue Ridge Mountains, Asheville is the largest city in Western North Carolina. Named in honor of North Carolina Governor Samuel Ashe, the 45.3 square mile city was incorporated in 1797. 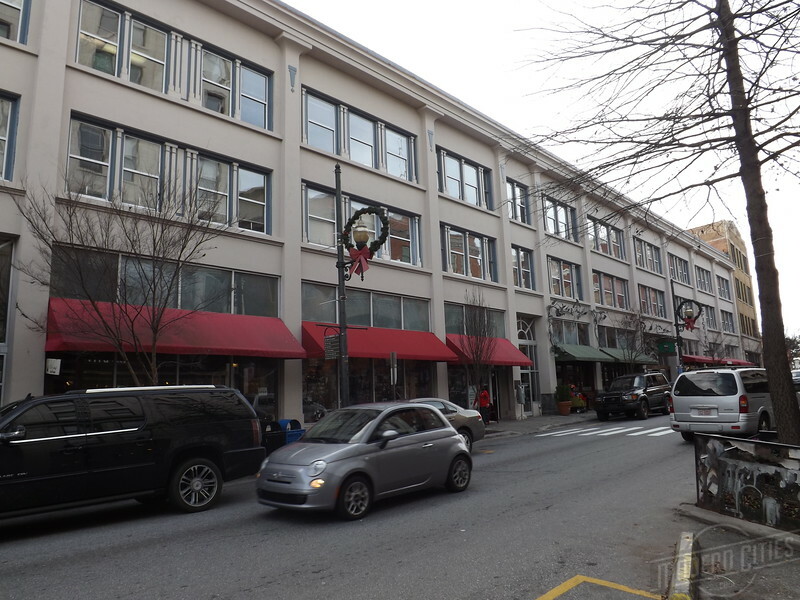 By the 1890s it had evolved into a center for textile mills and home to North Carolina’s first electric streetcar line. In 1895, it became the home of one of the most prominent remaining examples of the Gilded Age; George Washington Vanderbilt II’s Biltmore Estate. 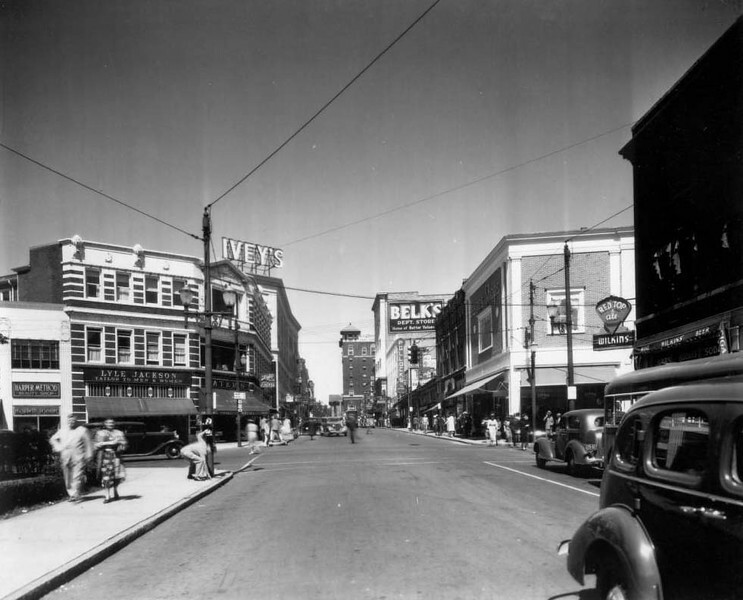 Prior to the Great Depression, Asheville grew to become the third largest city in North Carolina behind Charlotte and Wilmington. 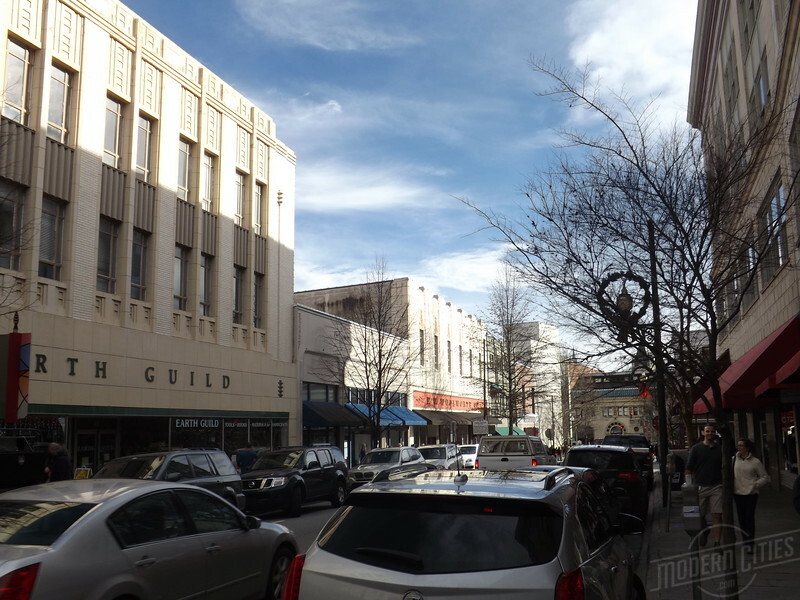 Economically stagnant between the Great Depression and the 1980s, Asheville failed to take large advantage of the country’s urban renewal craze. 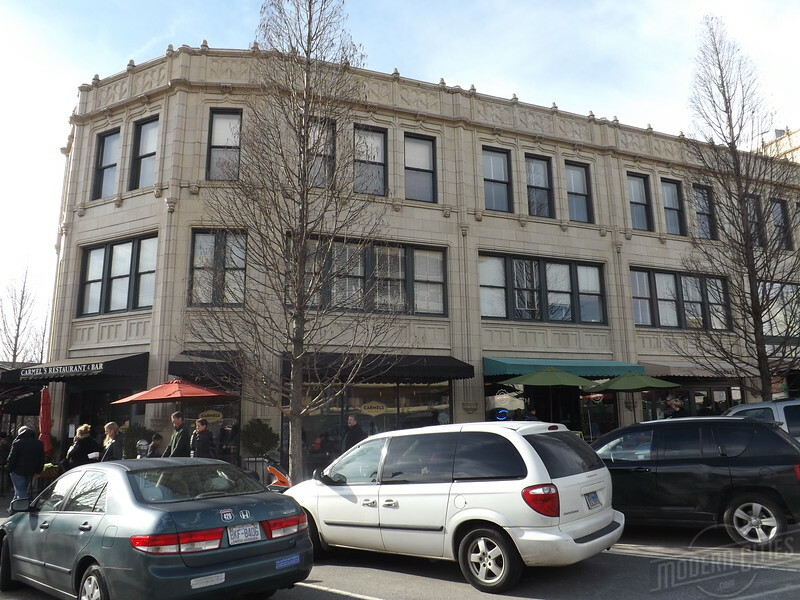 Do to this, much of Asheville’s architecturally impressive historic city core remains in tact. 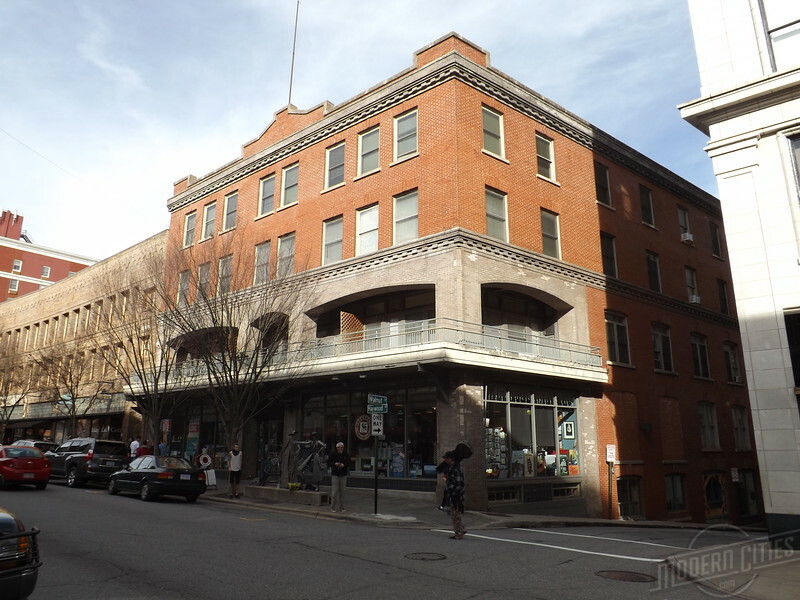 Now known for its large collection of craft breweries, art, Art Deco architecture, and live music venues, Asheville has become one of the most popular small cities in the United States. 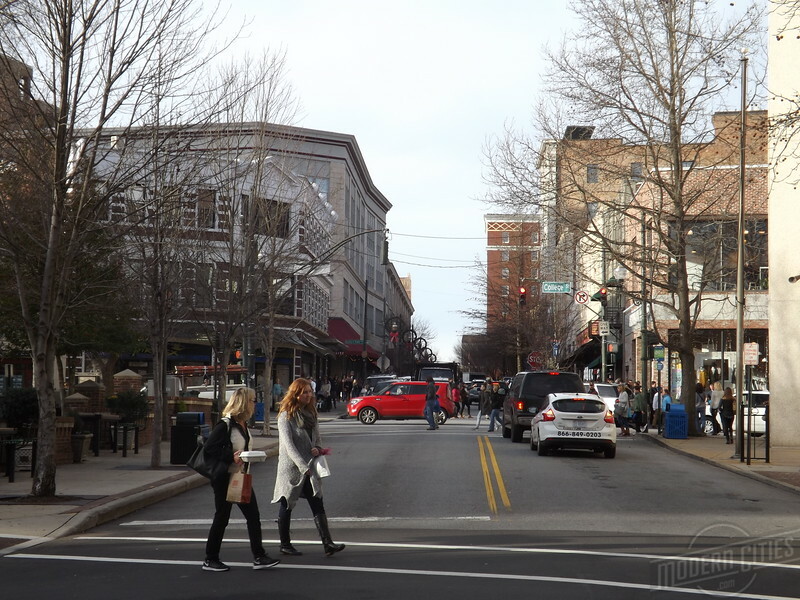 Here’s a brief Then and Now photo tour illustrating how downtown Asheville has evolved over the last century. 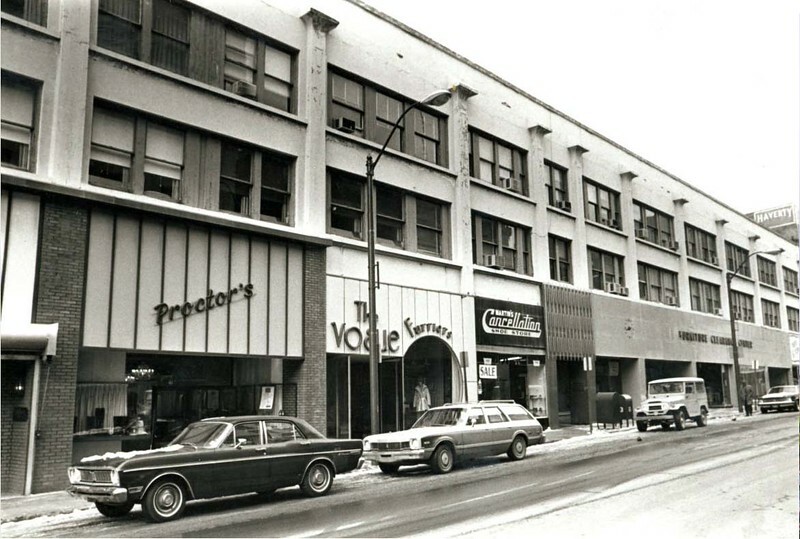 Exterior of store fronts on Haywood Street include a three-story concrete commercial building housing Proctor Shoe Salon, Vogue Furriers, and Martin’s Cancellation Shoe Store in 1978. Courtesy of the Pack Library. 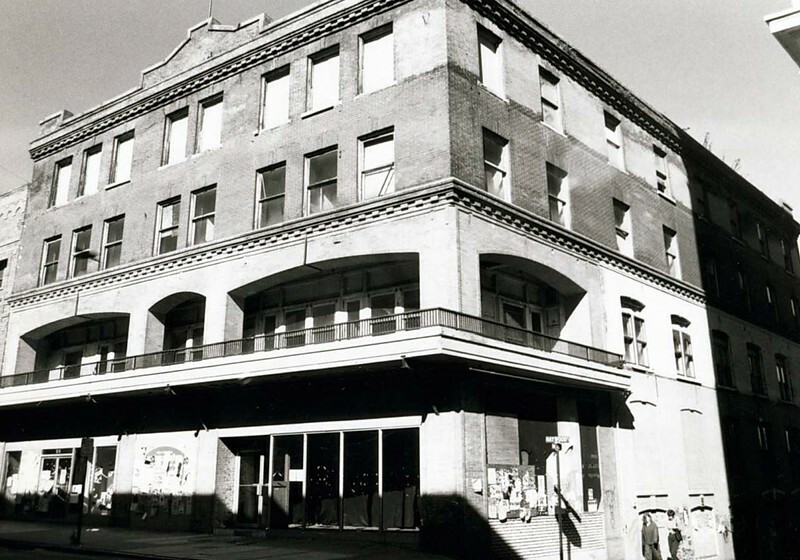 The Hotel Asheville in 1995. Courtesy of the EM Ball Collection. 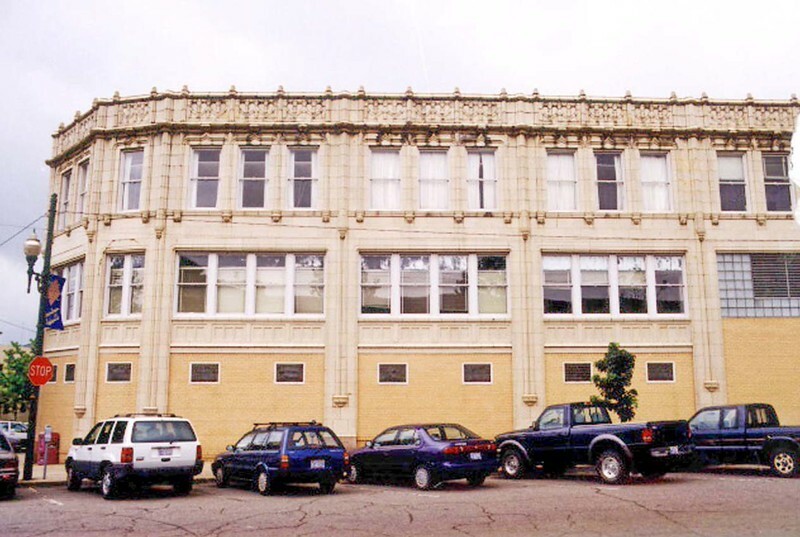 A May 1999 view looking south on Haywood Street towards the Earth Guild Building. 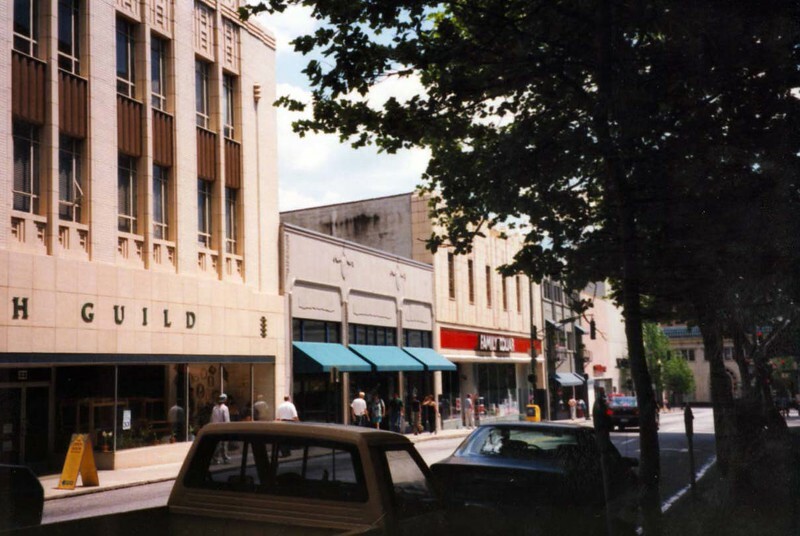 Photo also shows the Asheville City Development office at 29 and the Family Dollar Store in the former Woolworth’s Building at 25. Pedestrians and cars in view. Courtesy of the EM Ball Collection. 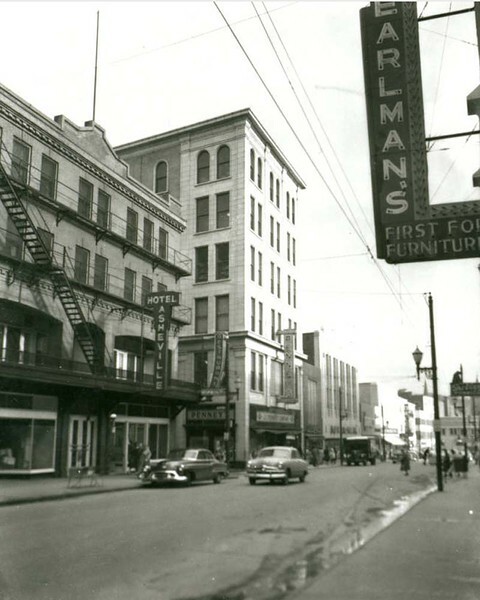 A 1956-57 view of Haywood Street Southeast from in front of Haverty’s Furniture. 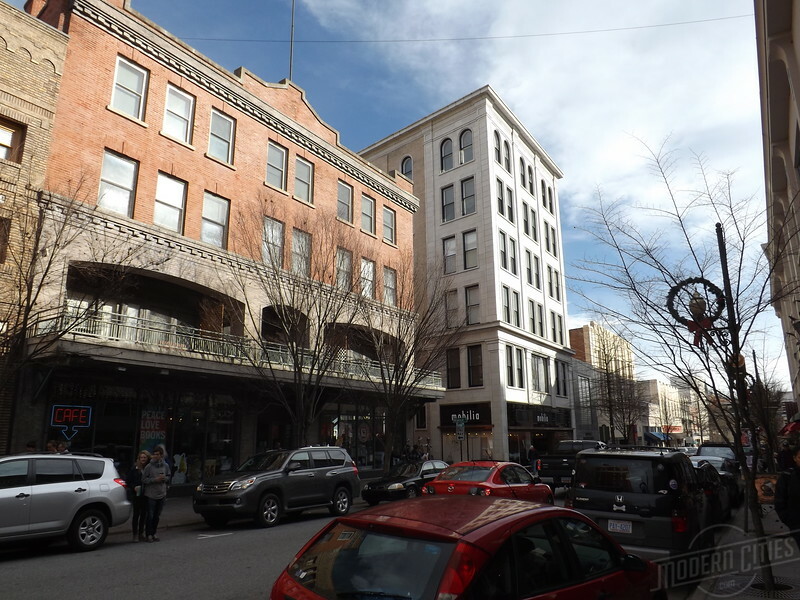 Hotel Asheville (53) and Penney’s (41-43) are located on the corners. Courtesy of the Pack Library. The Grove Arcade in 1998. Courtesy of the EM Ball Collection. Haywood Street from Patton Avenue during the 1930s. Courtesy of the Pack Library.